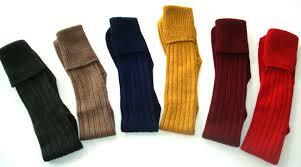 Are You`re Socks Stylish ! Socks are one of the most overlooked items of clothing in a man`s wardrobe, I am a guy who always look at men’s socks, to me it shows if a guy has really taken time to think what he wearing on that day, some times a flashy pair of socks can really make your outfit sing, socks have been worn for thousands of years, the earliest socks would have been made from animal fur before man learned to knit. 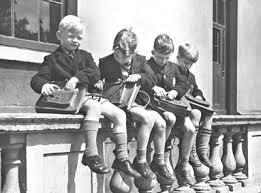 By the 1900s nylon was invented and automated machines, so socks were made on a Industrial scale, with this socks became simple pieces taken for granted, but over the last couple of decades with fashion changing and people wanting to look good socks have become stylish pieces again. 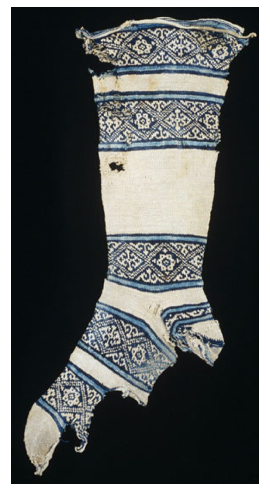 The Argyle pattern is made of diamonds, the word is sometimes used to refer to an individual diamond in the design but more commonly refers to the overall pattern. Most argyle layouts contain layers of overlapping motifs, adding a sense of three-dimensionality, movement, and texture, the pattern comes from the tartan of Clan Campbell, it became stylish during the 20s, the Argyle pattern is stylish and gives you a unique look that’s bang on with the money. Polka dot is a pattern consisting of an array of filled circles. 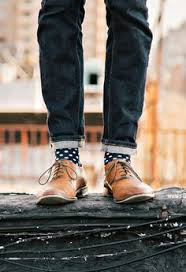 early instances were generally equally sized and spaced relatively closely in relation to their diameters, many modern prints include more randomly spaced, sized and coloured dots, the key to wearing polka dot socks is choosing the pin dot polka dot pattern, polka dot socks were worn by jazz players and rhythm and blues bands, polka dots look great with grey flannel trousers. Striped pattern is made by having lengthier spans of color in the runs, causing distinctive striping patterns, strips were originally worn as sports socks, students would wear them at the university’s, stripes are very sartorial you can have multi stripes or bold stripes, I don’t like socks with to many different stripes, I keep it simple by choosing socks with two bold colours like navy & red, yellow and navy blue, they look great with Indigo jeans. 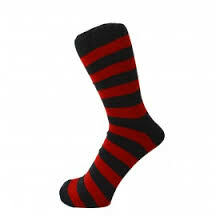 Plain socks in a striking vivid colour is always a style winner, if you’re wearing a striped suit or checked trousers you need to keep your socks plain, for get the plain grey or black they belong to the bin of dull, you need to add classy colours like bold reds, light pinks, sky blue, electric purple. 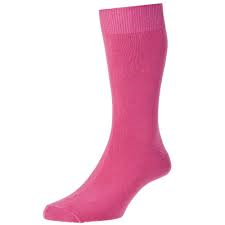 Socks come in many materials most common is polyester but its manmade, so it cause your feet to sweat more as the material cant breath, wear wool or mohair they are natural materials, they keep your feet warm and cool naturally so your feet wont sweat as bad. 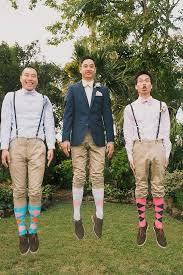 Now you know your different patterns its time to see how you can incorporate them into your every day wardrobe, to look good in stylish socks it’s all about matching colours and patterns to what you’re wearing. 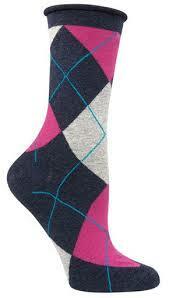 The Argyle pattern may be hundreds of years old but it’s still stylish and very chic. 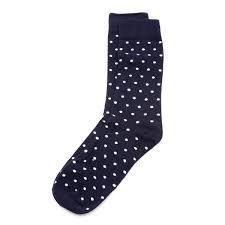 Polka dot style socks look great with jeans or trouser but stick with pin dot more stylish. 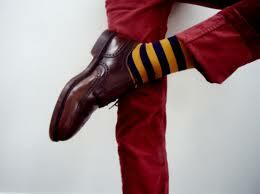 Striped socks are very sartorial they look amazing with plain chinos worn with brogues. 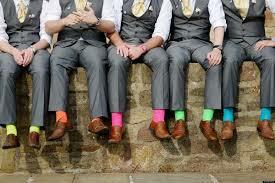 Plain coloured socks are very stylish in vivid colours, they can brighten up a dull suit or give your outfit a classy finish. Their was a time when I only wore black socks, but now I love stylish socks they are key to my style and how I want to look.